I haven't always loved salad. In fact I still don't love it unless the dressing is just right! And while I would love to drench every single one of my salads in ranch, I'm pretty sure thats not the best idea. A good dressing turns a blah salad into pure joy! I have tested different dressings over and over until I have gotten them just right. This is one of my tried and true, fool proof recipes! Plus there is zero guilt associated. Sorry ranch dressing! 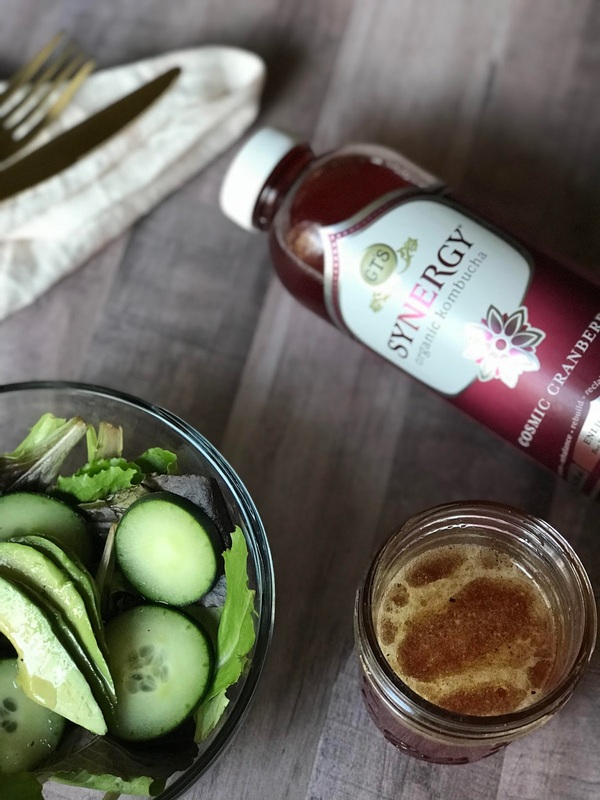 I got the idea to use Kombucha because I love adding vinegar to my home made dressings and I find that some brands of Kombucha have that perfect tangy taste! 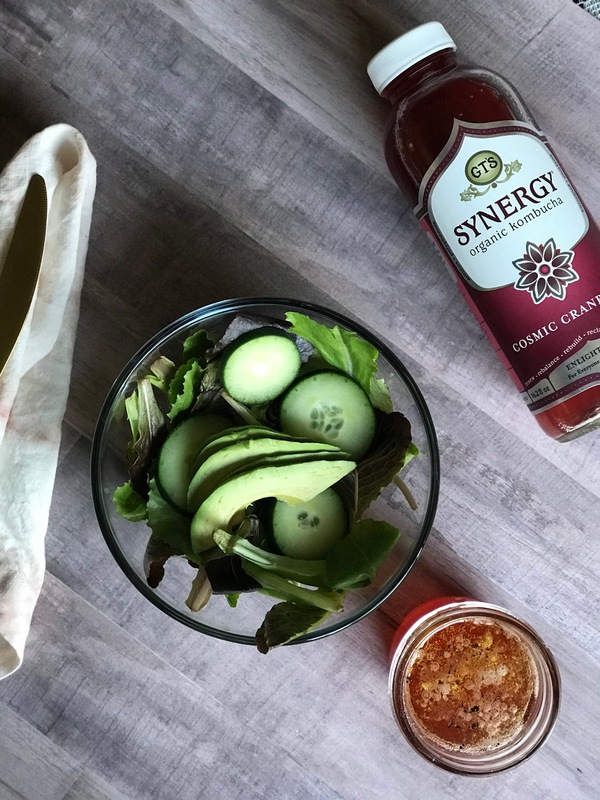 I don't just use cranberry Kombucha... I love guava, lemon ginger, the list goes on! But I do always find myself coming back to this one! 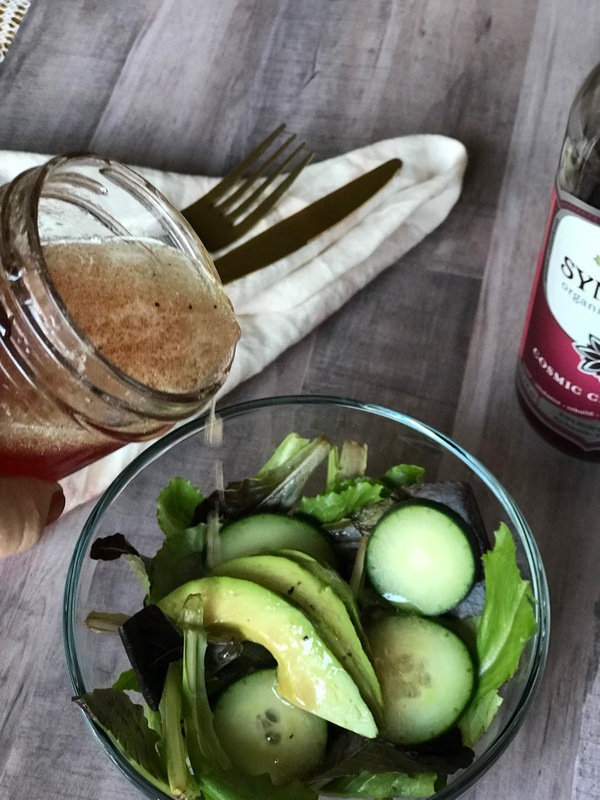 I can make the most basic of salads and if I add this vinaigrette it elevates it to a fancy restaurant level! I used to feel like salads always tasted better when someone made them for me but not anymore! I much prefer making my own! So much so that I smuggle this vinaigrette into restaurants with me now! Put all ingredients in a small mason jar and shake it up! Drizzle desired amount on to of your salad!